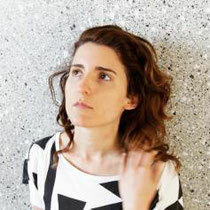 Last year Deniz Kurtel burst into the popular consciousness with her debut album ‘Music Watching Over Me’ on Crosstown Rebels, earning critical praise for her totally fresh take on house music, and bewitching live audio visual club shows. 2012 will see her once again captivating audiences with her musical productions and visual art, as her April road tour, ‘Double Exposure’ takes her across the US. A two pronged tour, ‘Double Exposure’ will see Deniz unveil her new LED sculpture ‘The Introspectacular’ while premiering her album ‘The Way We Live’ at 15 club shows in 12 cities around the country including Miami, Washington DC, New York, Detroit, Chicago, San Francisco and Los Angeles. The tour kicks off in Washington DC on April 7 and concludes in San Francisco on April 29. ‘Double Exposure’ is the second time Kurtel has paired a piece of LED art directly with her music, but marks the first time where the audience will be able to affect the experience. ‘The Introspectacular’, like much of Kurtel’s LED work, establishes an isolated space where the infinite reflections and layers of depth, achieved through her use of mirrors and LEDs, create a stimulus for inner-reflection and introspection. Housed in a 6x12 enclosed trailer, participants can control some of the LED lights via the keys of a midi controller, which simultaneously produces sounds, creating a visual mapping of what the participant is hearing and vice-versa. Kurtel will drive across America towing ‘The Introspectacular”. The piece will be exhibited in 12 cities she visits on her journey, outside galleries and public spaces. 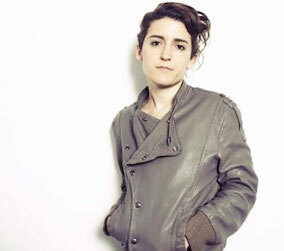 Kurtel will also be playing live club shows in each of the cities, where she will debut music from her new album which will be released on Wolf + Lamb. The LED piece will also be exhibited outside these music venues. Her sophomore LP builds on the soulful mystical house of her debut, taking audiences on a narrative journey through the slower tempo spectrum of electronic music. From the hip-hop front and pacing of ‘The Way We Live’ and ‘Right On’, to the haunting vocal strains of Art Department’s Kenny Glasgow on ‘Don’t Wanna Be’ to the Prince like funk of ‘Thunder Clap’, Kurtel keeps her listeners guessing. ‘The Way We Live’ will be released on Wolf + Lamb June 4th, 2012. "The Way We Live" Teaser from Wolf + Lamb on Vimeo.